When Professor Kevin Washburn posted on LinkedIn about the major cuts in the Indian Affairs budget proposed by President Trump on May 23rd, he wrote with authority. Followers viewed, commented and shared his post in kind. A citizen of the Chickasaw Nation of Oklahoma, Washburn served as Assistant Secretary for Indian Affairs at the Department of Interior from October 2012 through December 2015, where he oversaw a budget in excess of $2.8 billion. The Indian Affairs budget cuts post has rapidly spread across social media, and by May 30th, had reached over 163,000 views. The success of the post spawned an Op Ed by Washburn for Indian Country Today. It has also prompted him to reflect on the role of law scholars. 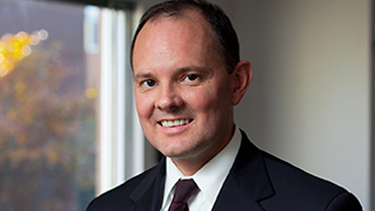 Washburn’s posts demonstrate the ways law professors can now have even broader impact. They also provide a useful outlet for him to share more widely what he’s learned through his teaching, scholarship, and while serving in Washington.